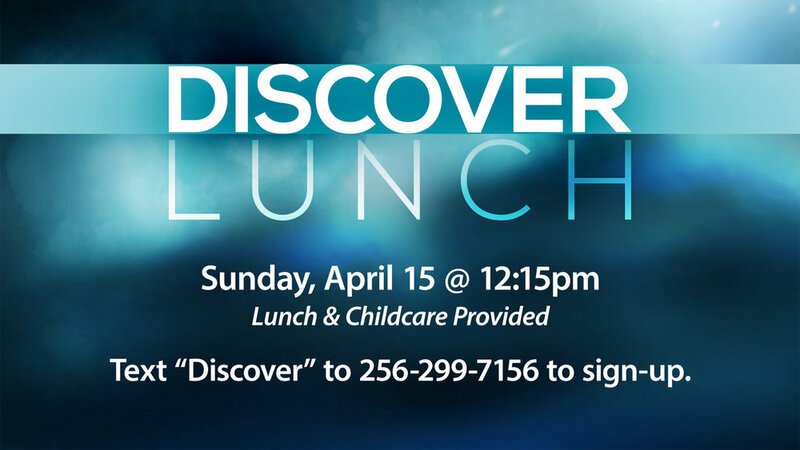 On Sunday, April 15, immediately after the 10:30 a.m. service, join us in the River Rock room on the Rivertree campus for our Discover Lunch. In this 90-minute session, you will learn about Rivertree: its mission, ministries, leadership, how to get involved, and how to become a member. Lunch and childcare will be provided. Come join us and learn more about how to take the next step and get connected with Rivertree.